Transpontine: Goodbye to the Hatcham? 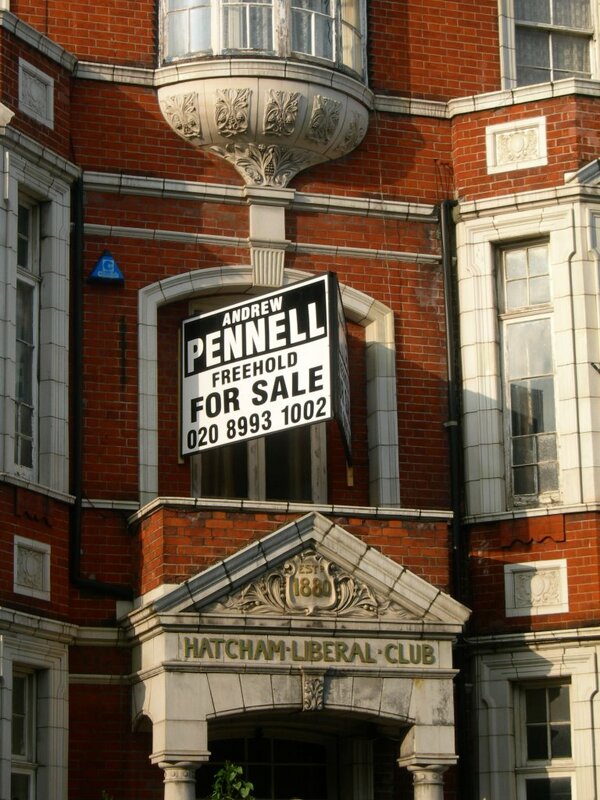 The Hatcham Liberal Club (also known as the Hatcham Social Club) in Queens Road is the latest New Cross music venue under threat, with 'For sale' signs up outside. The building pictured is an old working men's club and is apparently a listed building. Probably not listed, but a great space in its own right is the hall out the back where many gigs, parties and film shows have taken place (including among the latter a great Exploding Cinema show I went to where Mark Perry ex-Alternative TV performed). Ben Gidley of Goldsmiths has written of the development of a ‘proletarian public sphere’ in 19th century London, with working people developing their own clubs and institutions where they could meet, talk and socialise on their own terms. Among the examples he gives is the Hatcham Liberal Club 'one of the largest working men’s clubs, where Fabian and SDF socialists debated with secularists, progressives and radicals’ (see The Proletarian Other: Charles Booth & the Politics of Representation). The Hatcham was also, incidentally, the venue for Charlie Chaplin’s mother’s last public performance (she had been a music hall singer) and of course has given its name to a current indie band - Hatcham Social. It has a past - but does it have a future? I'll see what I've got in my piggy bank tonight. Would be great if we could get as our own social centre. hi im joyce 70, my grandparents used to live in the house next door and my grandfather,william strong, was president of the club in the 1940s. I was suprised to see it was a music venue and do hope that it isnt closed. i now live in devon and would love to vist again before its closed or sold .if any one has any information on whats happening please leve a comment. Good to hear from you Joyce, would be interested in any memories you have of the Hatcham. The building is currently closed I am afraid. I understand that it is a listed building so it is unlikely to be demolished. It was briefly used by a local church after it closed, but doesn't seem to be in use at all at the moment. The music/party venue was in an extension at the back of the main building, I doubt if it was there in the 1940s. The hall did exist in the forties, destroyed by enemy bombing during the blitz. It was rebuilt in the fifties by local members.Joyce's father would have been a cotemporary of my father who was a lifelong member along with my older brother. grandfather and uncles. The family names Coleman and Earle may ring a bell, as would Weller, a long standing Chairman. Good to hear from you anon, tragically the place is still closed - it's criminal to see spaces like that lying empty when there's so much people could be doing with them. I wonder since when and until when it served as a music venue? And it IS listed (.... particularly interesting building is the Hatcham Liberal Club at no. In terms of being a music venue, the deal was that people could hire the hall at the backk to put on parties and sometimes gigs. So it was more of an occasional music venue, rather than bands playing there every night. It was used in this way until it closed in 2006 and for at least ten years before that - particularly for some time as the venue for Jazz at the Cross nights. Ironically now it's closed there's a nationally successful indie band called Hatcham Social. Don't know if they have any Hatcham Liberal Club material though. The building is still empty. Planning permission seems to have been granted in December 2009 (one in favour and one objecting!) http://tinyurl.com/5t5xpbl and work is currently taking place. 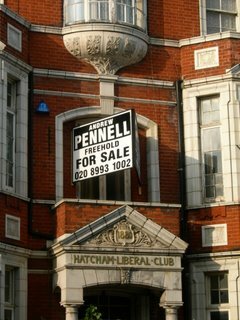 For anyone who is interested - we are going to refurbish and reopen the hatcham liberal club and hopefully create a boutique small hotel/letting rooms above to help support the club. Does anyone know who is the new owner of the building? My father George Newman Stewart, was the entertainment manager at the Hatcham liberal club during WW11, it was open between the blitz and the start of the V 1 rockets. (buzz bombs). I remember the night the Beverly sisters parents Coram and MIlls gave a ballroom dancing performance. The time must be right because I was evacuated twice once just before the blitz and then again when the buzz bombs started so it must have been about 1943. My excolleague Georgy Gimble was a member of the Hatcham Liberal Club for many years. Fancied himself as a snooker player, I think. Worked for donkey's years as postman higher grade at SEDO, SE1 as did I! Does anyone remember him? Any idea what building is now, passed it Sunday it looks wonderful. Used to go to the club with my parents as a kid. I believe the main building is now flats, but not sure if the hall at the back still exists. My granddad was the steward of the Hatcham Liberal Club during the war. His name was Richard Smith. He lived there with my grandmother, my mother and at least one aunt. I wonder if anyone remembers them. I believe they were there when it was bombed.